Shobha Warrier meets the amazing Dilip Kapur who built a Rs 160 crore business with just Rs 25,000.
Business was not Dilip Kapur's first love. He actually wanted to "change the world." But as fate would have it, what started as a hobby, is today a business worth over Rs 160 crore (Rs 1.6 billion) with 76 exclusive showrooms and a distribution network in 23 countries. Founded in 1978 as a two man workshop, Dilip Kapur's Hidesign has grown into a global brand recognised for quality, ecological values and personalised service. "For many years, it upset me that I was a businessman. I wondered what mistakes I made in my life to be one. Deep down, I still have doubts about it. 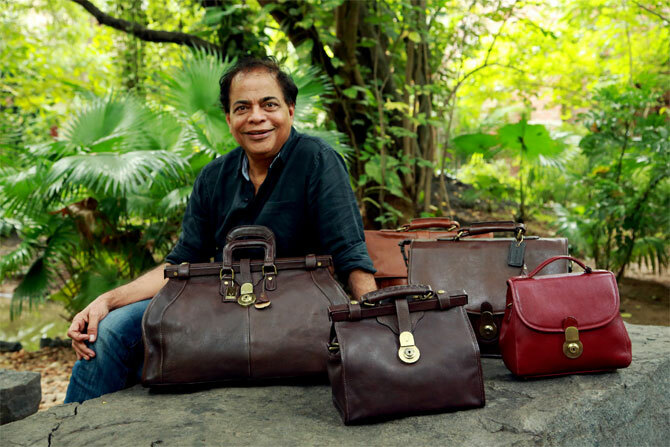 Business is not something I wanted to do," says Kapur, the founder-president of Hidesign, the leather goods manufacturer based in Pondicherry/Puducherry, adding that even today he has many questions about doing business. Kapur's father, a rich businessman in Delhi, relinquished all his wealth and moved to Pondicherry in 1954 when Kapur was just five, and joined the Aurobindo Ashram. After studying in the Ashram school as a free spirited boy, Kapoor studied at the Phillips Academy, Andover, Massachusetts, and later at Princeton University, graduating in liberal arts. He did his PhD in international affairs at Princeton. When he was at university, the Vietnam War broke and along with that, the hippie and ant-Vietnam movements. "I was a hippie with long hair!' he remembers. "We all thought we would be able to change the world." As the war ended, he got a job and that was the first time he was introduced to leather. "I loved the look of it. Unlike cloth, it was very tactile; you can touch it and feel it. There is a three dimension feel to leather; you can see through leather. It is more living unlike cloth." As part of his training, he made bills once a week and that was when he noticed that all the rare leather imported from England was called E I Leather. He found out that E I Leather, described as the finest vegetable tanned leather in the world, actually stood for East India Leather. Considered to be the best for hand colouring, highly expensive shoes and bags in Italy, and the UK were made from this brand of leather. A huge surprise awaited him when he was told that E I Leather was imported from Madras (now Chennai)! "They were importing from my homeland and I didn't know. It was one of our heritages which we have lost. India used to be a big centre for vegetable tanned leather, the other two were Italy and Brazil. But when chemical tanning came to India, vegetable tanning slowly vanished." With every passing day Kapur realised he disliked the US more. "I really believed Vietnam was American imperialism. Maybe because I was an Indian, I felt connected to Vietnam. The arrogance of America upset me a lot; they thought they could do anything to any country. I admired Vietnam for the way they fought America. The Vietnam War was only one of the reasons why I decided to come back; I always knew one day I was going to come back," he says. "I had this pride that I was an Indian and wanted to live in India. No Indian who went to America at that time came back." Back in Pondicherry in 1978, there was nothing much for him to do except plant trees and plan the affairs of Auroville. As he helped build Auroville, he indulged in his hobby of designing leather bags, and went searching for the source of E I Leather. To his disappointment, tanner after tanner that he visited told him that they had stopped using the E I process and shifted to the more modern chrome tanning process. "The disastrous results were apparent all around the tanneries. Where tannery waste water had once nurtured surrounding fields, now these areas were poisoned deserts with high incidence of cancer and skin diseases. Farmers, tanners, tanneries and environment, once bound together in a symbiotic and mutually beneficial relationship, were now enemies." Thus began his search to find the last remaining skilled tanners of E I Leather to dedicate himself "to research more innovative methods of tanning, based firmly on a heritage that had once created the greatest leather in the world!" What he did next was visit the cobbler's colony looking for the best cobbler there. All fingers pointed towards Murugan, a cobbler who could make his own patterns. Murugan became Kapur's first employee and continues to be part of Hidesign's 35-year long journey. 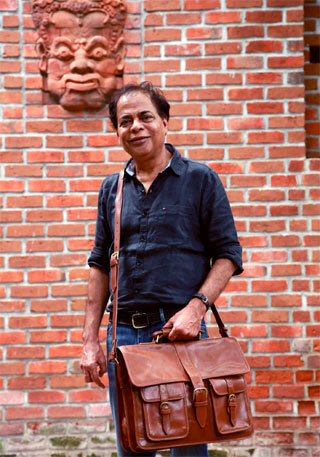 Kapur was pleasantly surprised when a friend of his bought the very first handmade bag he designed for Rs 300. "I just couldn't believe that somebody would actually buy a bag I made. This friend knew I was making a bag and when I finished it, she found it so beautiful that she bought it. It was very unexpected." Kapur was now making one bag a day and gifting them to family members. It caught the attention of a German friend in Auroville. He modelled with the bags for the catalogue of the World Hunger Organisation and placed an order for 1,400 bags. "Imagine, I had just started my business and had only one cobbler working for me. The realisation that people would place an order for what you did as a hobby, was amazing. After six months, I supplied 200 bags to him. That was all I could make." When such a big order landed his way, Kapur knew it was time to expand. With Rs 25,000 as capital, he expanded his hobby into a business. Most of the money was spent on buying leather, other accessories and a sewing machine. "If I knew it would grow into a business, I would have closed it down at that time itself. I am not a Socialist or a Communist. I am not even a capitalist; I am a liberalist!" exclaims Kapur. The bags were packed off with the name Hide (leather) and Design with 'de' in shadows, but a London company made it one word, Hidesign saying two 'de's would not read good. That was how Hidesign was born. Soon, another order was placed by a friend who used to stay in Auroville but had gone back to Australia. 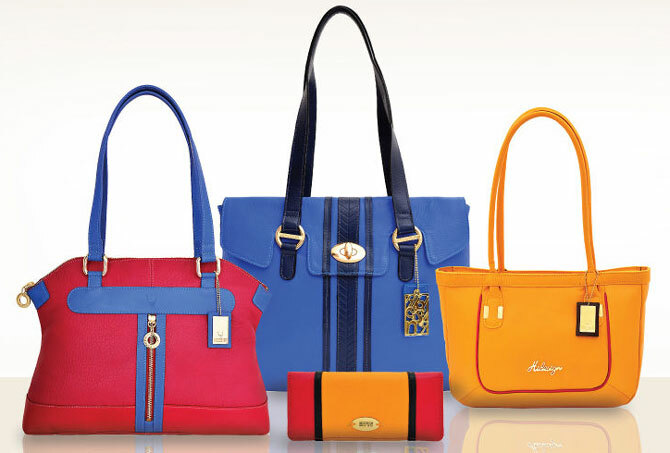 The next big step in Kapur's journey was the British store chain John Lewis stocked Hidesign bags. "We only had rebels as our customers in the first few years. It took us ten years to conquer the mainstream market. By then, the whole culture of the world had changed and people became less conservative and more casual. The biggest break was John Lewis buying our products." "It was like a progression even though they (John Lewis) forced us to go mainstream. Our leather used to be handmade, but they wanted us to make it a little more even. Till then, we were catering only to the 'alternate culture'. At John Lewis, our customers were the normal Europeans who were till then buying Italian bags. 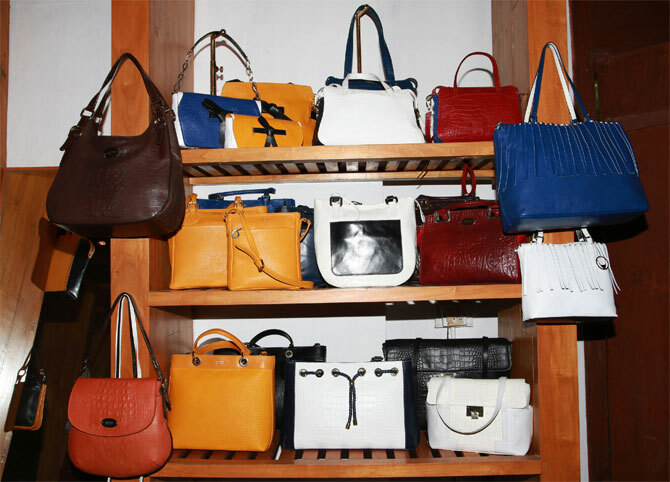 Yes, it was exciting to replace high-end Italian bags." Kapur felt this was the "end of innocence." 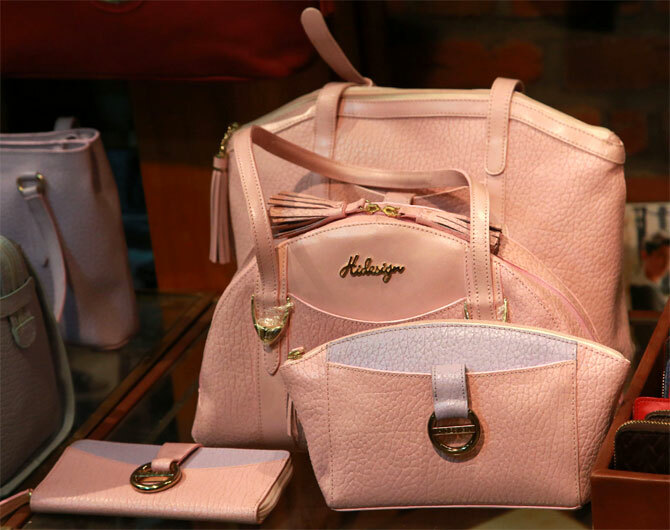 In 1992 Hidesign's Boxy Bag won the Accessory of the Year award from Accessory Magazine. Kapur had designed a little suitcase like a box with a long strap. The distributor collected the award from Princess Diana. She gave the award and took the bag home. Stephen Spielberg picked a Hidesign bag and used it in a movie. Bob Hawke, Australia's former prime minister, carried a Hidesign bag all the time. The biggest surprise for Kapur was when India became a big market. By now, the number of people working for him had increased and the small unit became a big factory. Today, 3,000 people work for Hidesign, which has 2,000 stores. "When we started selling in India in 2000, we sold only 6 per cent of our products here. We couldn't even find a distributor in India who understood our products. So we opened our own stores, first in Delhi and then in Bangalore. Now, India is our biggest market, 65 per cent of our sales are in India. Our customers are from the 25 to 35 age group." "After liberalisation the world came to India and Indians went to the world. Suddenly you see many Indians having the same lifestyle as a person in San Fransisco and London." Until 2005, most of Hidesign's Indian customers were men, but post-2005, women became big fans of Hidesign. Internationally, 70 per cent of its customers are still men. A businessman who was never ambitious, Kapur now wants Hidesign to grow and become a leader in India. "I want to see it as an important brand internationally, but I don't think in terms of numbers and rupees. We want to stay natural and ecological. That is very important to us. Hidesign is part of a movement that makes people conscious of the environment and never exploit any human being. We should have a reason to be there and a story to tell."